The latest episode of Full Contact Fighter Radio features talks with UFC flyweight Justin Scoggins, Legacy FC welterweight Tim Means and undefeated Fit Plus fighter Chris Kelades. 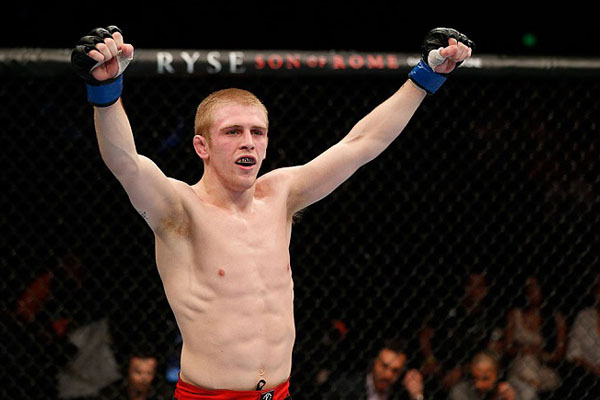 Scoggins is set to face Will Campuzano at UFC 171 this Saturday in Dallas, Texas, while the UFC vet Means is coming off his second stoppage win under the Legacy FC banner. Kelades, meanwhile, has gone 6-0 since he turned pro in 2009, and discusses his hopes for the coming 2014 campaign. You can listen to the program by heading here or via iTunes.